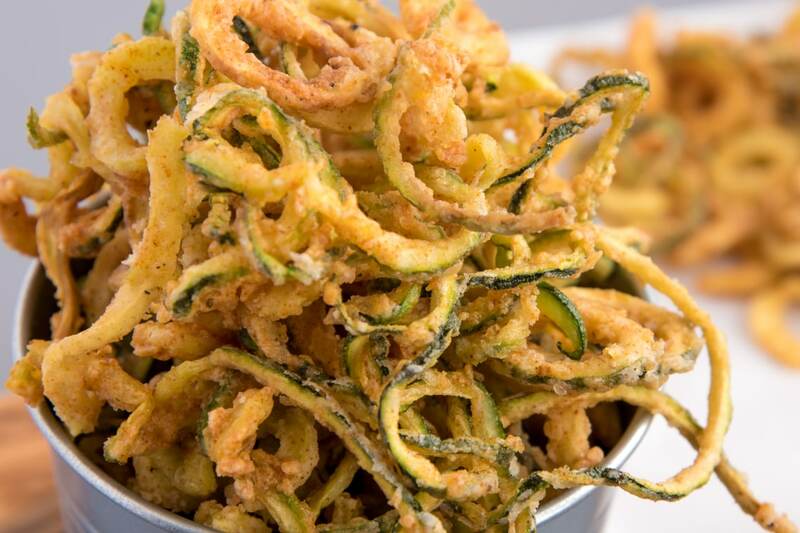 Indulge with these perfect zucchini curly fries. They are so crispy and delicious, they make the perfect appetizer or side dish for your grilled turkey burger. Zucchini has a high water content. For crispier zucchini, salt the spiralized zucchini, let it rest for 10 minutes, and pat dry with paper towel before preparing. Per Serving: 1153 calories; 115g fat; 26.1g carbohydrates; 8g protein; 104mg cholesterol; 927mg sodium. I love these! I would not call them replacement for french-fried potatoes. They would fail as that, but considered on their own merit, they are just as good as a batch of french fries, in my book. I may or may not have sprinkled a bit of Parmesan cheese over this. I've always loved zucchini fries, like the thick fat and greasy ones. But, now that I am in my 30s and trying to eat healthier, I gladly tried these spiralized ones. These turned out nice and crispy. I actually now prefer them spiralized to the thicker cuts. So glad I gave this a try. Zucchini fries are my favorite. 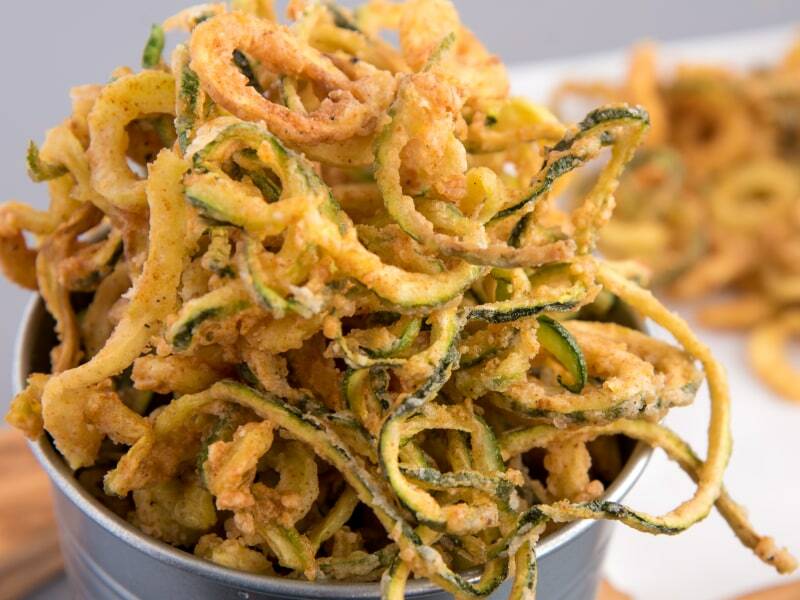 These were not greasy, the right amount of crunch, and the perfect size with the use of the spiralizer. Definitely my new go to recipe. The kids love it too!